The first thing you will notice on this great custom home is the stylish stone front! 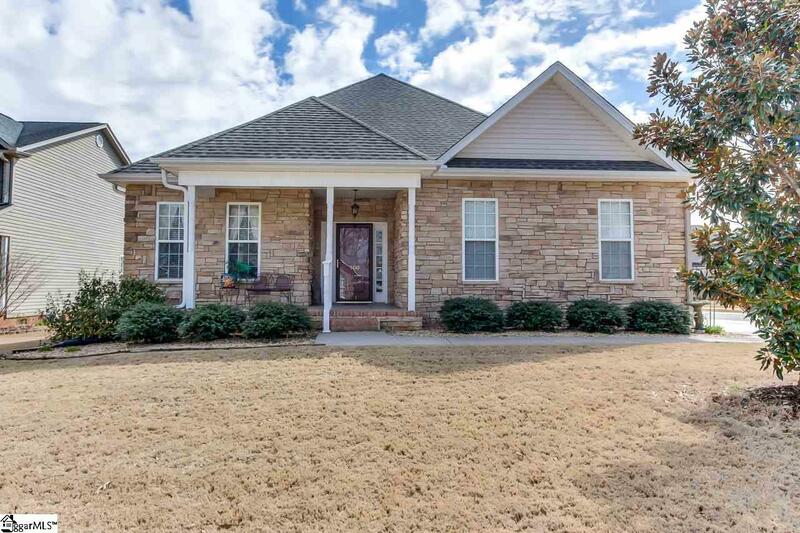 The condition of this home is impeccable with many upscale features including 9 ft and trey ceilings, extra trim work, handsome hardwoods, top notch lighting fixtures and more. Desirable open floor plan from kitchen, eating and living areas. Masterful Master Suite with private bath, dual vanities and walk in closet! Great partly covered deck to relax at the end of the day or have BBQs with friends and family. Fenced in level backyard for kids or pets to play in safety. Convenient to Furman University, Cherrydale Shopping Center and walking distance to the Swamp Rabbit trail to hike or bike on. Welcome home!